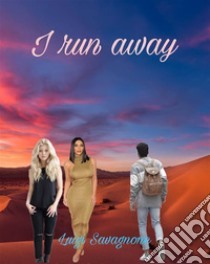 The novel is divided into two basic parts: 1) A narrator tells the story of Anna and Lucia two girls of Italian origin, who after spending a childhood and a peaceful and happy childhood in Borneo discovered a love affair between their parents, so disgusted, they decide to leave and reach Italy. Here find a very closed society, resulting in great difficulty in entering and get to know people. However, they manage to find a permanent job, but it soon proves a real torture. They are also able to find a partner, but with the help of a marriage agency. Here begin the visits to some of the most important places and monuments of Sicily, but also of Rome, Florence and Venice, where Anna spends her honeymoon. This is illustrated by several images and accurate historical reconstructions. When for the two friends finally everything seemed to go for the best, something happens ... In this first part, which can be defined a fable with a final suspense, however, are treated different topics of scientific, philosophical, architectural and cultural heritage; 2) The narrator of this romance is in a state of suffering for the ills of society and human weaknesses that are highlighted in an exaggerated way in this second part, which is characterized by mental ravings and tragicomic adventures that lead to an escape from the world of work and his vain attempt to move away completely from these diseases leading to a final surreal.